Elegant. Sleek. Versatile. Hardwood floors are beautiful and boasts a certain ambience to a room that no other floor can achieve. Perfect for living areas and bedrooms, hardwood is a popular choice of many homeowners. If timeless beauty is what you looking for, then our selection of exquisite hardwood flooring is the answer for you. With various types, designs and woods, you can't go wrong when it comes to choosing your perfect hardwood floors. 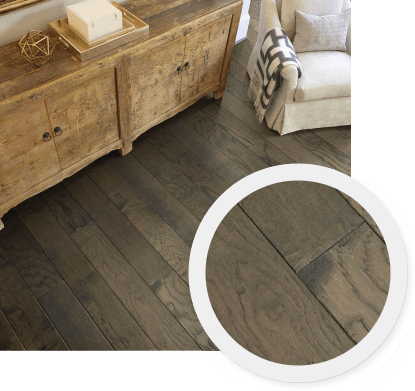 Our hardwood floor selection is also available in antique styles that are made to mimic an antique impression. You can achieve a long lasting impression when it comes to installing hardwood in your home or even office. Our interior design specialists here at Gregory’s Paint & Flooring have put together a stunning look book that you can use for your discretion. We give you the ultimate inspiration in hardwood flooring- no matter what your individual style is. Hardwood installation is not a walk in the park and that’s why we recommend hiring a flooring specialist who has the means and know-how to install your pristine hardwood floor correctly. Depending on the methods, there are various ways to install hardwood and it can be tedious if you don't know what you are doing. Read on to learn the whole hardwood installation process. To keep your hardwood floor looking sleek and attractive, it’s totally vital to follow a daily care and maintenance routine. Even though most hardwood floors come with scuff resistant technology, it is still wise to always look out for spills and wipe them away immediately. For more pointers regarding the upkeep of your hardwood floors, carry on reading and see what our experts have to say. Get to know some of the names we trust most!